With its glass face, its golden stainless stell central movement and black hands, this round wall clock evokes the retro wall clocks while adopting a very modern style. The dimensions of this vintage wall clock are 31 cm in diametre. Free 48/72 h delivery in metropolitan France and Belgium for your original wall clock. 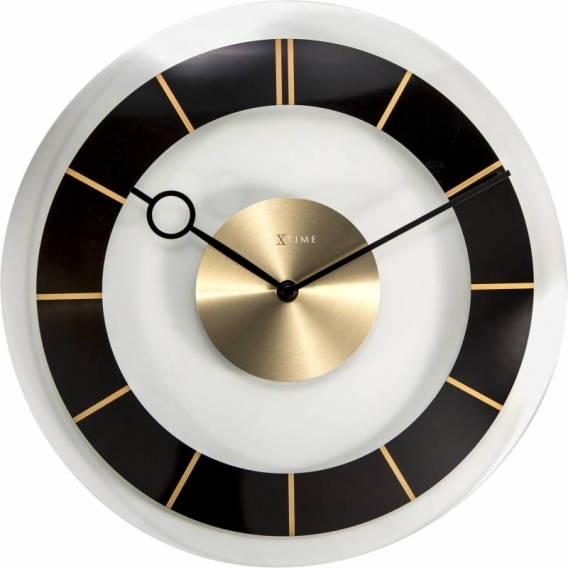 Revisiting the industrial style clock, designers chose noble materials such as glass and stainless. 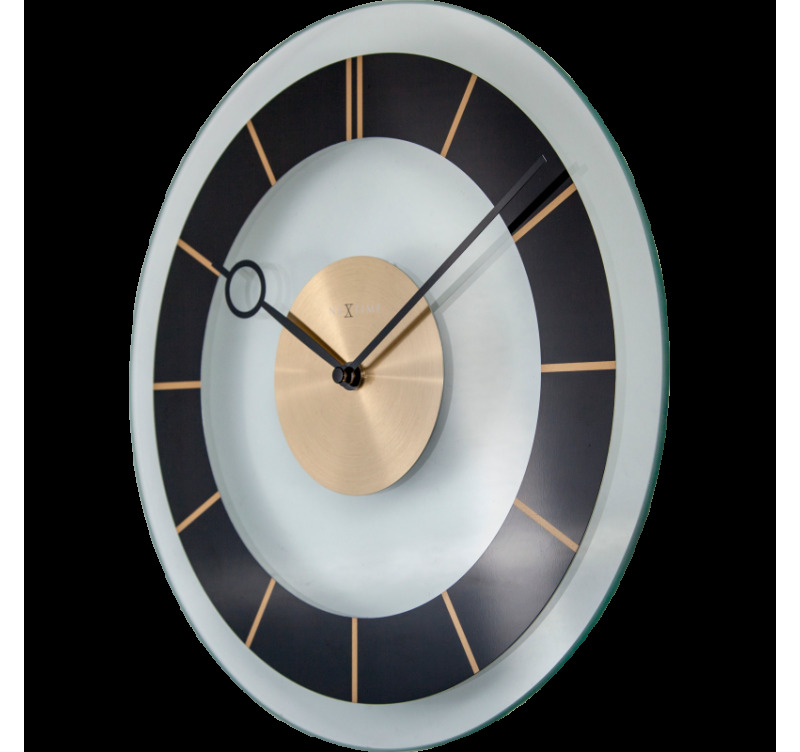 This very nice modern wall clock stands out with its flat glass face on which a circular black line shows the golden strokes showing the hours. 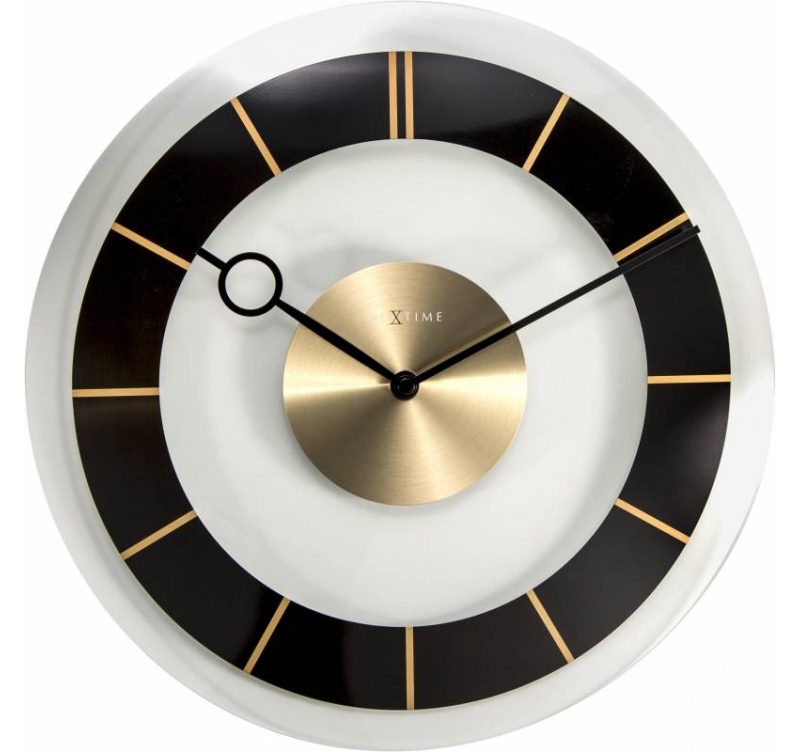 Very elegant, this decorative clock has black hands with the bigger having a ring at the end for a quicker reading.The central mechanism in golden stainless steel brings out the colours of the face. You will easily find a place for your wall clock whether in your living room, office or kitchen. Its contemporary and retro style matches all the interior decorations and so you are sure not to show any lack of taste. 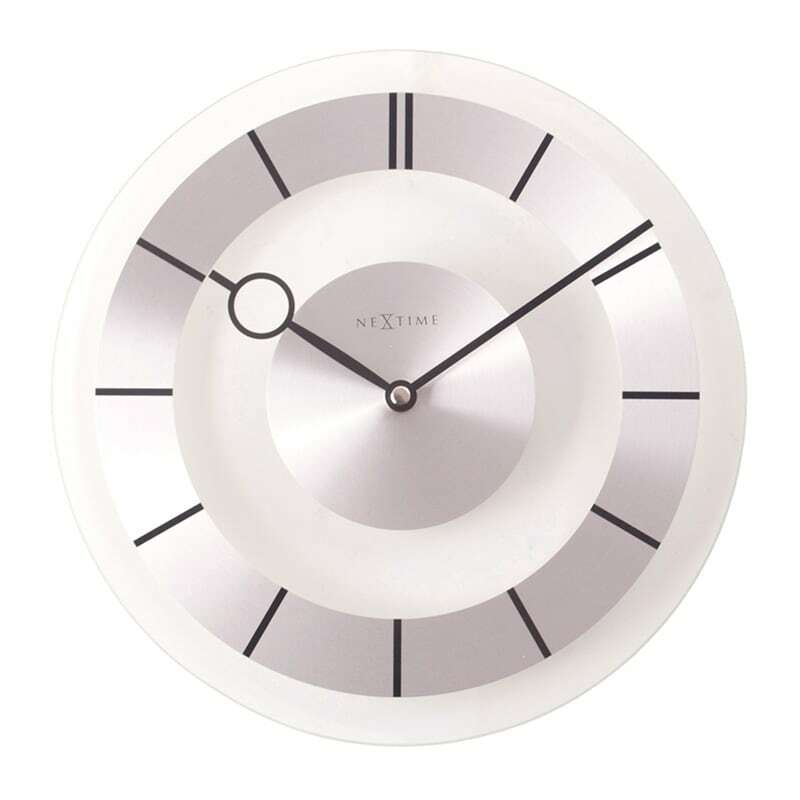 This retro wall clock can also be found with a face and central mechanism silver-coloured.